I am keeping the travel theme rolling along with these new part to my blog called Travel Hacks. This is basically going to be a handful of blog posts giving you the (hopefully) very helpful tips to make your holidays the best they can be. My inspiration for this post is taken from the amazing book from (www.lonelyplanet.com) called ‘Best Ever Travel Tips’. I will be giving you 6 tips today which help with the very basis and most important parts to your holiday bookings. Keep an eye on that expiry date, a lot of places will require at least 6 month’s left on your passport. There is also the big question about visa requirements, go to this website enter in your destination and you can find out what you need http://www.iatatravelcentre.com! Most people don’t bother but this is for the ‘worst case scenario’ unfortunately nowadays we see a lot of problems on the news with tourists travelling to different countries so insurance is a must have. Keep a contact number for your insurance and make sure you can easily access your insurance policy in some way or another possibly via your email saved in an easy access folder. This is all for your accommodation. When it comes to hotel bookings unlike flights it is always to better to book earlier and sometimes it even helps to book your flights and hotel together to get a better deal. You also get greater protection through the PTR (Package Travel Regulations) which came into effect in UK law in 1992 which means the tour operators will provide higher amount of protection through information and financial protection and repatriation. 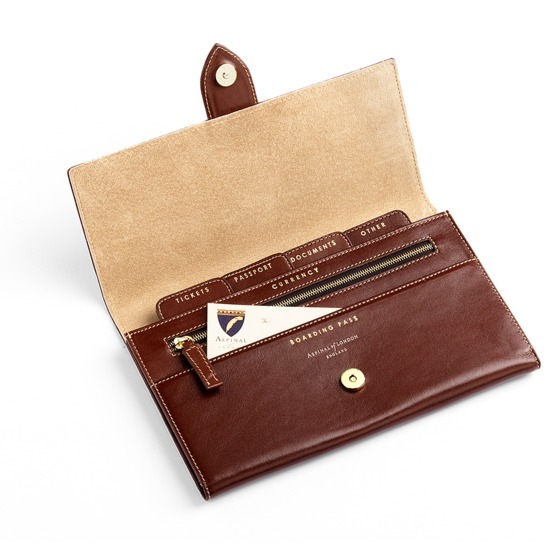 The most stressful part about travelling is carrying around your travel documents (boarding passes, passport, currency) having all of those floating around your bag makes me always on edge.The best thing to buy is a travel wallet: I’m not gonna lie I have my eyes set on this one from (aspinaloflondon.com). Trying not to look at the price tag, but it literally makes me calmer just by looking at it. A really handy tip for those travelling long haul flights is to stay hydrated and to avoid caffeinated/alcoholic drinks and you won’t have that fuzzy feeling when you hop off the plane. If you’re doing a long haul flight then try to get a daytime flight that you’ll arrive in the evening and be ready for a fresh start the next day. I love the phrase ‘if you don’t ask you don’t get’ especially when it applies to travel. If you are actually on the plane and feel uncomfortable and there is a spare seat somewhere else it never hurts to ask to move. When it comes to flight upgrades the key is in how often you travel, If you are a frequent traveller (my travel goals) and have racked up a lot of points then you will have a higher status and will be picked out from the rest if there is a spare seat in first class. I really hope these tips have been helpful and I will be posting some more travel hacks very soon, let me know in the comments for any advice or tips you would like to know and I will do my best. Being a 2nd Year Tourism Student! !